Established in 1862, Marriott Asset Management is one of the oldest financial services businesses in the country. We currently have over R23.15 billion in assets under management, and offer a number of investment products including South African unit trusts and investment products, international unit trusts, an offshore share portfolio and a direct UK property solution. Marriott was acquired by Old Mutual in 2005 and now forms part of the Old Mutual Investment Group as an independent boutique. Marriott aims to create financial peace of mind through predictable investment outcomes by applying an Income Focused Investment Style. This style is based on a business truth that the value of a company grows over time at the rate at which its profits grow. In the same way, the value of an investment, over time, grows at the rate its income grows. Income growth will drive capital growth. The selection of securities that produce reliable dividends (income streams), ideally growing. This enables us to give you a more predictable investment outcome, allowing you to plan for your income needs now and in the future. The purchase of these securities (and their income streams) at appropriate prices. We buy when the income yield is above the long term average, making sure you get good value for your investment. 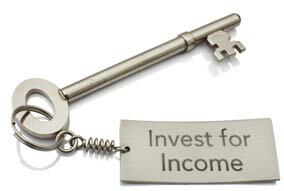 Although capital growth receives a great deal of investor attention, investing is ultimately all about income. Retired investors invest to generate an income stream. Pre-retirement investors invest to provide for their future income needs. We invest in securities issued by large companies that are trading at acceptable yields and have a proven track record of paying regular dividends or interest, thus ensuring consistent and reliable distributions to investors. This, along with the growth in dividends from these underlying investments, ensures more certainty with regard to long-term capital growth from our funds. We specialise in investing the savings of retired investors and investors saving for their retirement in all asset classes, both locally and internationally, and therefore necessarily adopt a relatively conservative approach. The International Investment Portfolio is a UK Sterling denominated personalised portfolio of international shares, bonds, real estate and deposits. Investors have a choice of two discretionary portfolio options both offering access to the benefits of the capital and dividend returns offered by many of the world’s largest and most successful companies. First World Hybrid Real Estate Plc is a real estate investment company that invests in a combination of direct real estate and listed real estate investment trusts (REITS). The objective of this Fund is to combine the benefits of direct and listed First World real estate to generate a reliable, predictable and growing income. Our Perpetual Annuity is an investment linked life annuity that provides a consistent and reliable monthly annuity. Unlike traditional living annuities, investors do not need to sell units to provide them with an income. Instead the income paid is that which is generated from the underlying investments — spend the income, save the capital. Providing a consistent and reliable monthly income from your personal savings to fund your lifestyle. The investor has a choice of three underlying funds, each of which pay a reliable, predictable monthly income. A tax efficient vehicle for individuals wanting to save for retirement or supplement their existing retirement savings. Investors can start a monthly debit order or can make ad hoc lump sum investments. Preserve retirement savings in a tax efficient manner when changing employment or if retrenched. Our Preservation Funds grow your retirement capital giving you a more predictable outcome so that you can draw a reliable monthly income when you retire. Grow your personal wealth but also have access to it when you need it. Choose from a variety of local unit trust funds to suit your personal investment objectives. Designed to accumulate capital and grow the value of your capital. Construct a portfolio of unit trusts that meets your personal investment objectives. A money market solution that offers interest rates generally higher than call rates while allowing investors access to their capital within one working day. This strategy appears good in theory, but invariably produces anxiety and mixed results. Speculating is usually based on little fundamental knowledge of the investment itself. Monitoring the prices of your investments every day is not constructive. A short-term horizon can be very disruptive when trying to accumulate capital and grow its value. Rather monitor the income that is being produced by those investments. Income and capital values of an investment are affected by different factors in the short-term. In general, more can be known about the income produced by an investment than the reason for short-term volatility. The price at which investments trade on the securities exchange in the short-term is affected by factors beyond our control, such as interest rates and inflation. This short-term volatility should not cause concern as long as the investment continues producing the income as expected.